Resellers going outside the channel to source hard-to-find Cisco SKUs will be able to get increased support from the vendor's channel after Cisco signed its first global distribution agreement with Westcon. The multi-year agreement allows Westcon to stock and supply its reseller customers from stock held at any of its distribution centres anywhere in the world. The agreement includes Comstor, its in-house Cisco specialist. Distributors don't pay for kit until it has been shipped, meaning that Westcon will apply UK pricing and discounting to Cisco gear whether it was sourced in the UK, Dubai or elsewhere. This means that brokers and grey traders were unlikely to be too alarmed, said one Gold Partner. However, one SMB reseller who declined to be named said that when it came to selling kit that was considered obsolete or otherwise generally unwanted by Cisco in the UK, the vendor could be moving to close off some niche avenues. "For me there may be Cisco inventory that Comstor UK doesn't deem relevant and doesn't carry which is still in stock in emerging markets that my customer wants," he added "One reason people buy outside the Cisco channel is because products are no longer in free circulation, so this could lick that end of the market." Cisco has long taken a dim view of cross-border trading in its kit, clamping down hard on those found to be dealing in it. 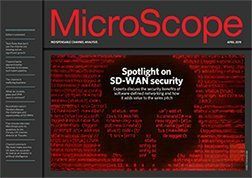 "From an operational standpoint, Cisco refers to it as disti-to-disti transfer, and it allows us to deliver inventory around the world without restrictions from Cisco," Corbin told MicroScope. Besides running its distribution business more efficiently, Westcon also hopes the agreement will allow it to more effectively access emerging markets in Africa and South America. Cisco, which was unavailable for comment, is understood to have also entered preliminary talks with Ingram Micro and Tech Data with a view to signing similar agreements.